Free resources from two leading charities show how you can keep out of harm’s way at home. 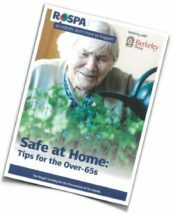 Published this month (April) by Independent Age, Home Safety is a 52-page guide that helps the reader to avoid accidents around their house or flat. The publication shows people how they can keep themselves from harm by being aware of danger areas and unsafe habits. According to RoSPA, more accidents happen at home than anywhere else. 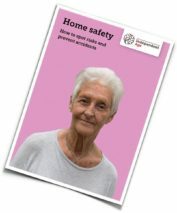 People over 65 – particularly those over 75 – are among those most likely to have an accident at home. 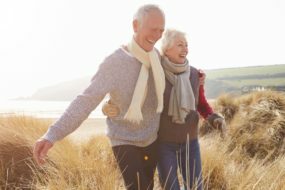 Improved living standards, better healthcare, greater awareness of the importance of a healthy diet and taking regular exercise have led to more and more people enjoying life into their 80s and 90s. But older people, in particular the frail elderly, are one of the groups of our population most vulnerable to accidents, particularly in and around the home.